Members of Kane County and DuPage County ARES groups provided communications support for the Swedish Days Bicycle Ride held on Sunday, June 25, 2017. 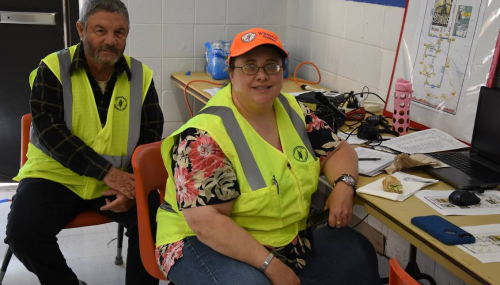 The ARES team provided communications between race control and the support vehicles deployed on course to assist riders and deal with emergency situations. The event, sponsored by the Fox Valley Bicycle & Ski Club, raises funds that are used to promote safe bicycling and cross country skiing facilities in the area.